I don't think anyone would argue that the recent high demand for adult coloring books had failed to cause a similar increase in colored pencils, but is there any truth to the claims that the high demand has lead to a shortage? Colouring-in fans just love their pens and pencils, they become real artists. I get messages from people in New Zealand and Australia saying there are big shortages now. It's really nice that something I was passionate about is now shared worldwide." Colin Freeman, one of the writers of that piece, told me on Twitter that he also had reports from retailers which said that colored pencil supplies were in short supply, and he also noted in the piece that pencil makers are running extra shifts to meet demand, but I'm not so sure that is enough to conclude that there is a shortage. Also, last October the NZ Herald mentioned that "leading colouring pencil manufacturers Staedtler and Stabilo (were) struggling to keep up with the worldwide demand." The Herald did not name a source for that statement, however. While technically it does meet the dictionary definition for shortage, I have an aversion to clickbait-sounding headlines which made me go look for evidence to refute or support the claim. For example, my favorite pencil shop, CW Pencil in Manhattan, said that they had not heard anything about a shortage. "To my knowledge, none of our distributors have communicated a specific shortage of pencils, spokesperson Caitlin Elgin told me by email. "We have certainly seen an uptick in sales of colored pencils because of the craze, particularly around the holidays, but for the most part haven't had trouble stocking colored pencils (or regular pencils for that matter). "The one exception would be the Irojiten Color Dictionary sets that we had a hard time getting for about two months (they come from Tombow in Japan), but again, our distributor didn't mention that was because of a pencil shortage." So tell me, does that sound like a shortage to you? In all honesty, there's enough of a dispute here that one's own bias will likely swing one's answer either in favor or against. I don't think this rises to the definition of a shortage, but I also have to say that I can see why others reached that conclusion. Have you had trouble getting colored pencils? This would have been a perfect article for April 1st. Really? Damn. I should have saved it, and posted next to my stories about “the girl who lived” and the next Kindle. No shortages here in Australia. I think this is just a self-serving comment from an colouring book artist. Here in Montana this ‘issue’ isn’t being discussed. Maybe it is one brand specific to the UK? Or maybe it’s just another example of the press hyping up a story until it’s clickbait? Maybe both? It definitely is hype but sonething gave them the idea. They’re not clever enough to make it up of whole cloth. Oh here I am, one of the guilty multitude who always reads but rarely comments. As a regular consumer of colored pencils, this potential shortage (or not) is of great interest to me. When I was working on illustrations for a picture book I did several years ago, the illustrations were done in colored pencil, and I bought them by the box in my needed colors. I still have a vast collection. Funny to think that the coloring book for grown ups craze has boosted demand for colored pencils. Glad to hear the CP makers have been able to up production. There may be a smiggen of truth to the shortage comment, at least in Australia or New Zealand. The school year starts at the very end of January, so the back-to-school buying spree coupled by minor additional demand from the adult colouring books may have resulted in very short term outages at specific stores for a day or two (but enough to elicit a comment from a fan to an author). Kinda like your local 7-11 store running out of beer on Superbowl Sunday. No shortage of coloured pencils here in New Zealand. But, forget about the pencils. It’s the crayons you really have to worry about! California Cedar Products, the company behind Pencils.com and the Palomino and Blackwing brands, told me on Tuesday that the retail site was effectively out of stock. As a leading supplier of wooden pencil slats to the world’s top brands of wood cased pencil manufacturers I can confirm that our meetings with our customers as well as orders for wood slats over the past 6-8 months are reflecting a rather dramatic increase in demand from this trend (or fad??). We have even heard a story from one slat customer about major US retailer customer of theirs who air shipped two full container load shipments to keep up with demand in their stores. This is unprecedented given the cost of airfreight on such color pencils relative to value. Additionally we have ourselves experienced increased demand on our Pencils.com site and our specialty independent dealer networks resulting in shortage of supply in our own Palomino and ForestChoice color pencil products. We are in fact essentially out of stock, waiting for resupply from our own contract producers of these items at this time. So maybe the shortage is not such a crazy idea fter all. I have been shopping for colored pencils since December, and cannot find them anywhere. I thought it was a local problem, but when we traveled to another state in February, I could not find any colored pencils there either. I have been very frustrated by this situation since we all received new coloring books for Christmas, but we cannot get a supply of colored pencils. It definitely feels like there is a shortage to me. I found them on Amazon, and Walmart, when I wrote this post. So the reason I even found this and the other article was my husband & I Googled for it because our area is completely vacant of the 50 packs of Crayola colored pencils (we’re not a wealthy area and most people here can’t afford much better). Staples, every WalMart within an hour and a half radius, etc. They’ve been empty for a month + in some stores. My guess is that the more rural the area, the less major crafting stores, and the more….gruff….the population, the less pencils they’d usually sell, so they are seeing shortages. 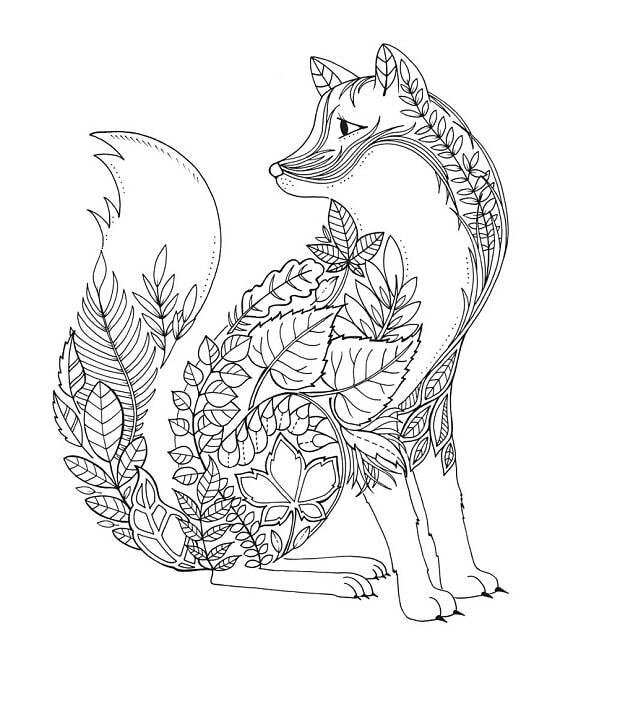 We’re just now seeing a huge surge in adult coloring books (it’s been a hobby of mine for about a year and a half or so), and I don’t think the timing is a coincidence. Our local chain book store just started carrying more than one or two adult coloring books about two months ago, WalMart started a month ago, and BAMN, trying to find colored pencils is like hunting for freaking gold. I live in Arkansas, and I’ve got a better chance of finding diamonds in my back yard than colored pencils, lol. I’ve had great difficulty finding many of the artist grade colors being in supply in the current inventory on major artist supply online stores such as Jerry’s, Blick, Joe’s, and Utrecht. It’s getting rather ridiculous, with aperoxide 1/2 of colors currently on backorder. This has been mostly the prismas and fabers. Can’t they see there is a greater demand. Not keeping up may loose some customers.